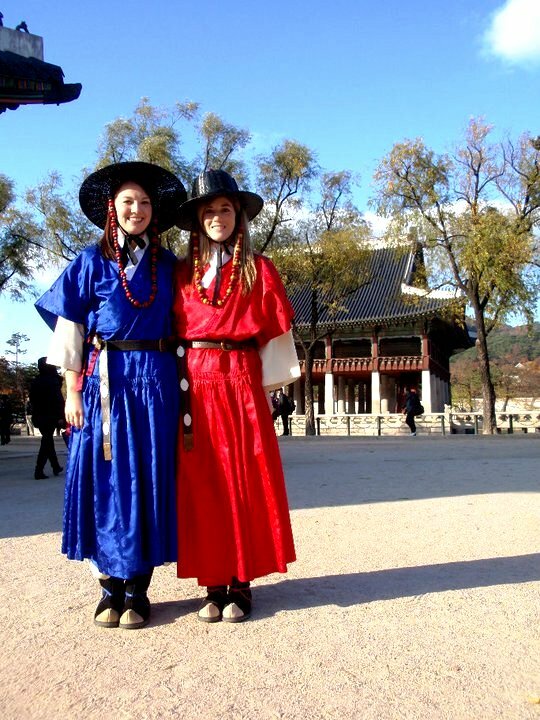 Gyeongbokgung Palace is by far my favorite palace in all of Seoul. 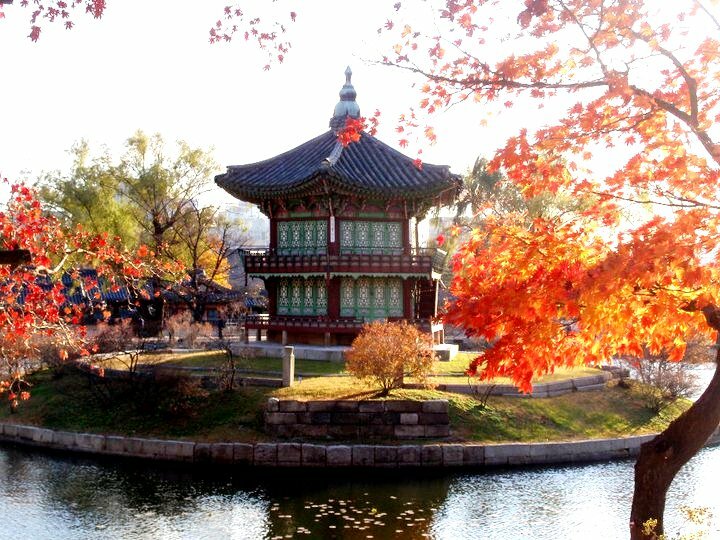 Located in the heart of Seoul, this palace's ancient buildings and scenic gardens contrast greatly from the surrounding high rises of modern Korea. You will simply be amazed at the dramatic comparison between old and new at this historic location. The views during the fall get more and more beautiful the deeper you go into the palace grounds. Especially around the small pond which features views from 360 degrees. Don't forget to try on the traditional palace guards outfits for free. 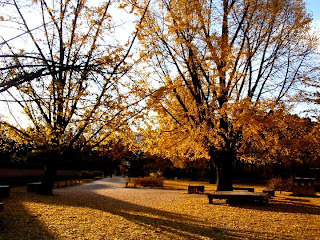 This service usually has no line during week days in the fall, and you may walk around to take photographs. Also make sure to catch the changing of the guard which happens every day at set times. This is a great way to see the guards costumes and witness what the palace would have been like back in 1392. Visit The changing of the guard section of the Korea Tourism Organization's website to see specifics. For a whopping 3,000 won ($3) you can get an entrance ticket. However I recommend buying the 10,000 won ($10) all-inclusive ticket which began in May of 2010. 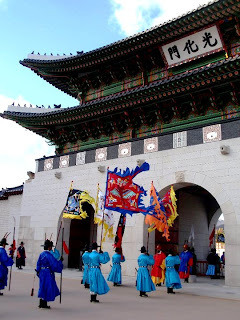 This ticket is valid for one month and allows entrance for 4 major palaces (Gyeongbokgung Palace, Changdeokgung Palace, Changgyeonggung Palace, & Deoksugung Palace) and Jongmyo Shrine. For more information on this palace visit The Official Site of Korea Tourism Org. 1. 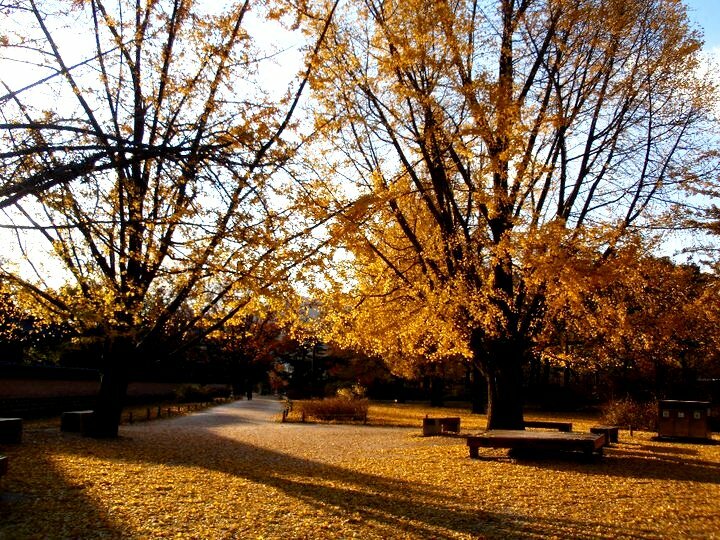 Exit number 5 from Gyeongbokgung Subway Station (Seoul Subway Line No.3) and walk 5 minutes. 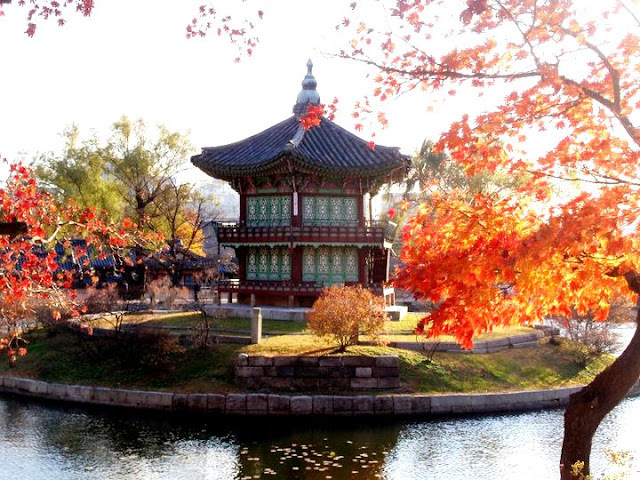 If you have any questions or comments about "Gyeongbokgung Palace during Fall" please leave them in the comment box below or send an email to goneseoulsearching@gmail.com. Thanks Paul! Actually Andrea took this one! I'll let her know!